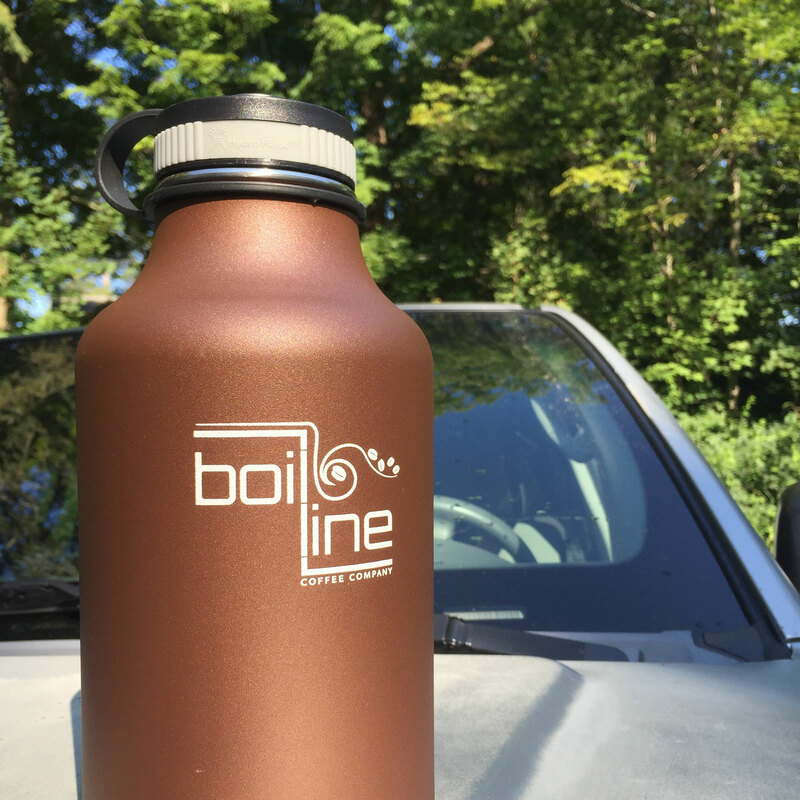 Boil Line’s HydroFlask Growler holds up to 64 fl oz. and is stainless steel. Comes with a sturdy screw on tight fitting leak proof lid. Keeps beverages hot or cold for hours.